Produced in a limited batch of just 200 cars to satisfy rally Group B homologation regulations, the RS200 is almost a forgotten "modern classic".The RS200 was a mid-engined 4-wheel drive coupe specially designed for Group B rallying and announced in 1984. 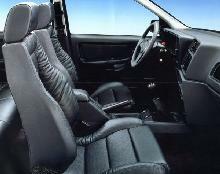 Built for Ford by Reliant, it had a 250bhp 1.8-litre fuel-injected 4wd which gave a top speed of 140mph (225kn/h). The 200 necessary for homologation were not ready until early 1986, but their rallying career was short-lived. In the Portuguese Rally, an RS 200 was involved in a fatal accident in which three spectators died; this and the deaths of Henry Toivonen and Sergio Cresto in the Corsican Rally led to the banning of the ultra-fast Group B cars at the end of 1986. Featuring a Kevlar/Carbon-fibre body, four wheel drive and a turbocharged 1.8 litre engine built by Cosworth, road versions could easily reach 140mph. 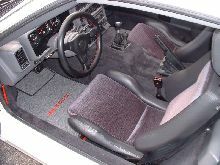 The batch of 200 RS200's were built between 1985 and 1986. 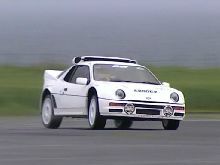 Ford set about marketing the RS200 as a road car. 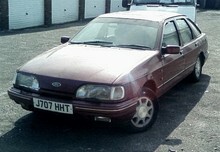 With interior trim by Tickford the cars cost £50,000, the highest price ever charged for a Ford.